Love the pages Deb... Especially the favourites page ! Love the love this card. love these! 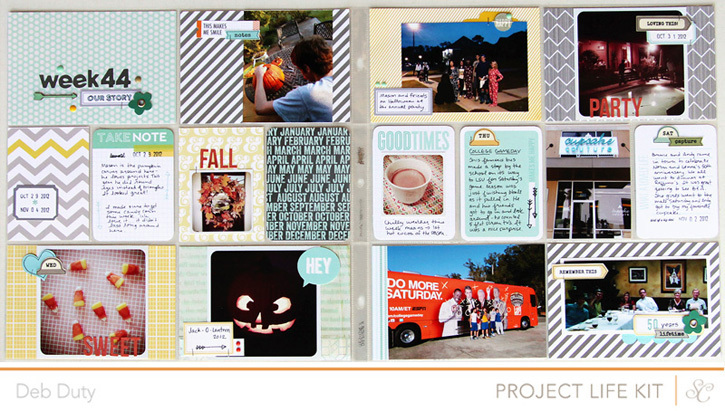 love that you use color combo for each spread! It makes it more fun to match everything up! Although I had a time figuring out how to make the week of Halloween work with much orange in this kit! Love your pages! And I can't wait for the studio calico PL kit, looks amazing! These are great, Deb! I love the colors! I also love the idea of a favorites page for 2012! And hooray for starting on 2013! 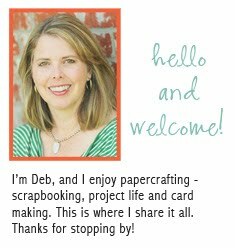 I love all of your layouts Deb, so fun. Congrats on being caught up on 2012, I still have 10 weeks left, but I will get it done. Wow! 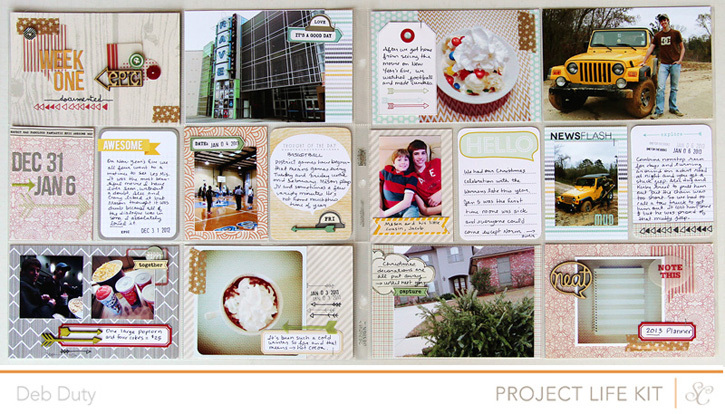 What amazing, colorful, fabulous layouts! I can't wait to get my PL kit and start using it!!! Gorgeous pages! Your title cards are so fun. 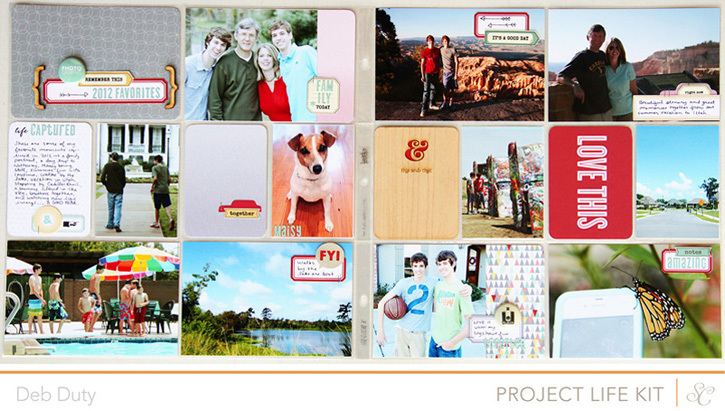 If I ever get my scrap stash down, I'm going to have to get Studio Calico kits. Looks great Deb. awesome photos!